Care for a walk around Lake Superior? We suggest you do it very, very carefully. 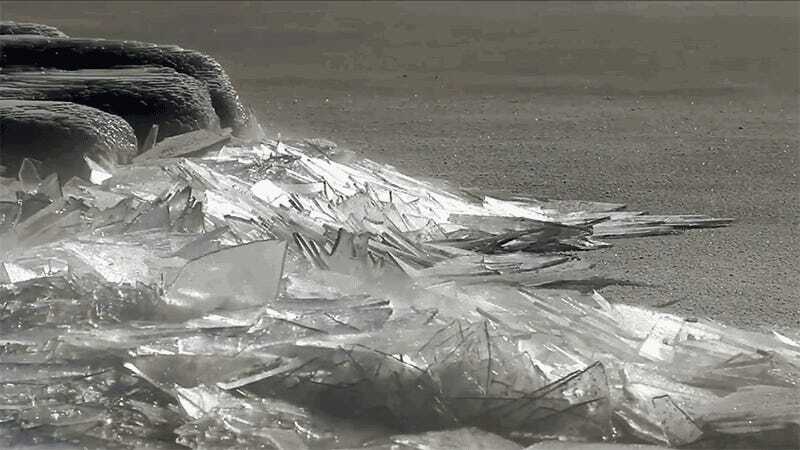 Dawn LaPointe took this footage of ice stacking up over itself, shattering over and over like sheets of broken glass, on the shores of Lake Superior around Duluth, MN this weekend. Depending on just how the ice freezes over the winter, you can see all kinds of different ice formations around the Great Lakes over the winter, including pancake ice (when the ice freezes like a series of flat pancakes along the surface), ice chandeliering (eruptions of ice splinters on the surrounding land), and ice boulders (just like it sounds, a series of ice boulders lined up all along the shore). 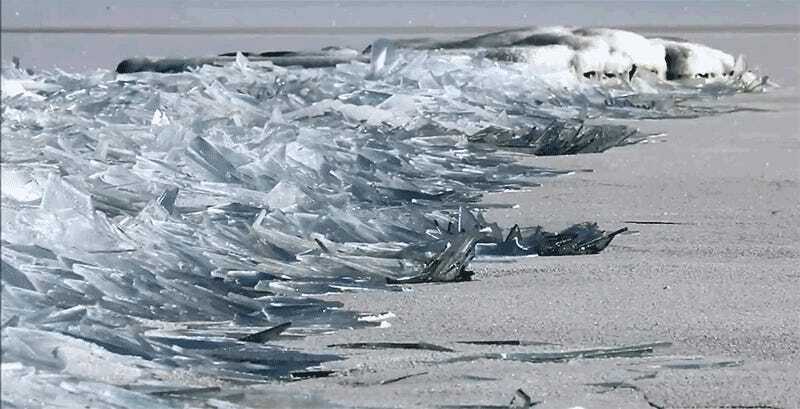 In this case, the ice formed in a sheet over Lake Superior and the waves brought it over and over again to crash on the shore, lining up planks of broken ice, one over the other. This glass-sheet stacking formation is particularly strong because of just how quickly the lakes went from barely iced-over to heavily frozen last weekend, all over the course of a couple days. The full footage is below—and it’s just as satisfying to listen to as it is to see.